Airstream Facilities rent state-of-the-art production facilities to the film, tv and event industry, all housed in retro and modern US Airstream caravans, converted and fitted to the hightest standard. The challenge was to create a brochure website that would present these beauitiful and iconic trailers in their best light. 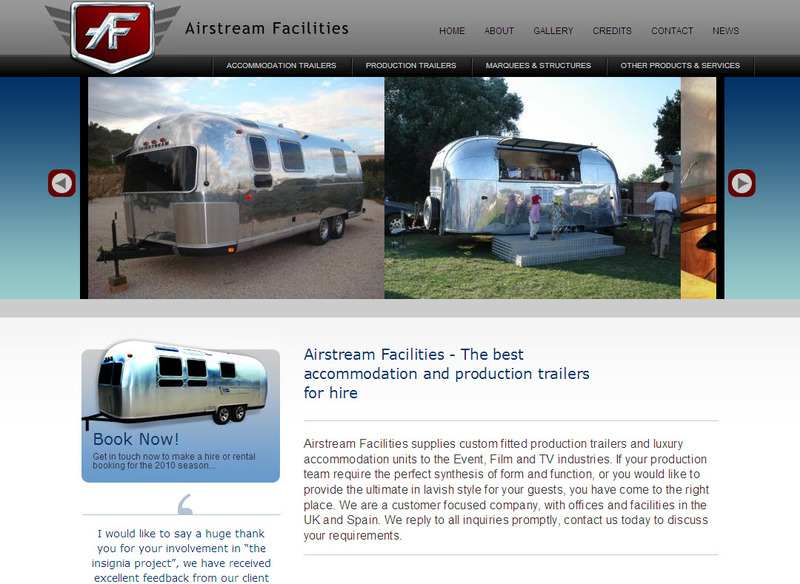 Brightonart implemented a design by Ric Marry in Drupal 6, applied our extensive SEO and web marketing experience and the result has been a sharp increase in business for Airstream Facilities with hire and rentals to prestigious clients such as Glastonbury Festival and the BBC being direct results of the web presence.